Welcome to Audible's finest Comedy Club. In this fourth series of live showcases, stand by for more full length stand-up sets by both established stars and emerging newcomers of the comedy scene. This series features performances from: writer, creator and all round comedy hero Danielle Ward; the unhinged and hilarious Bobby Mair; antipodean comedy legend Dai Henwood; pithy and smart Peter Brush; and the instantly likeable Archie Maddocks. 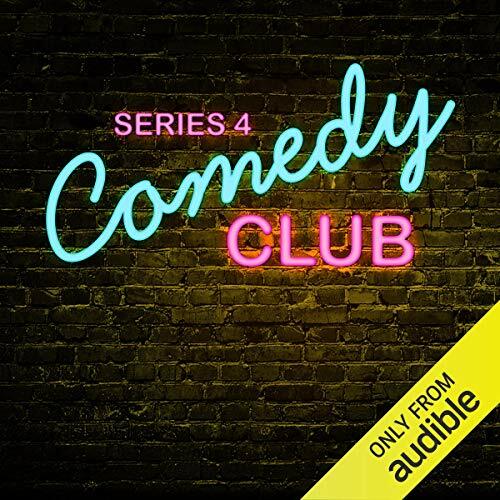 As an Audio Show - free for members - when you add Comedy Club (Series 4) to your library, you'll get all 5 episodes, with runtimes varying from 30 to 60 minutes. ©2019 NextUp Comedy Ltd. (P)2019 NextUp Comedy Ltd.